Not all weddings have a happily ever after. 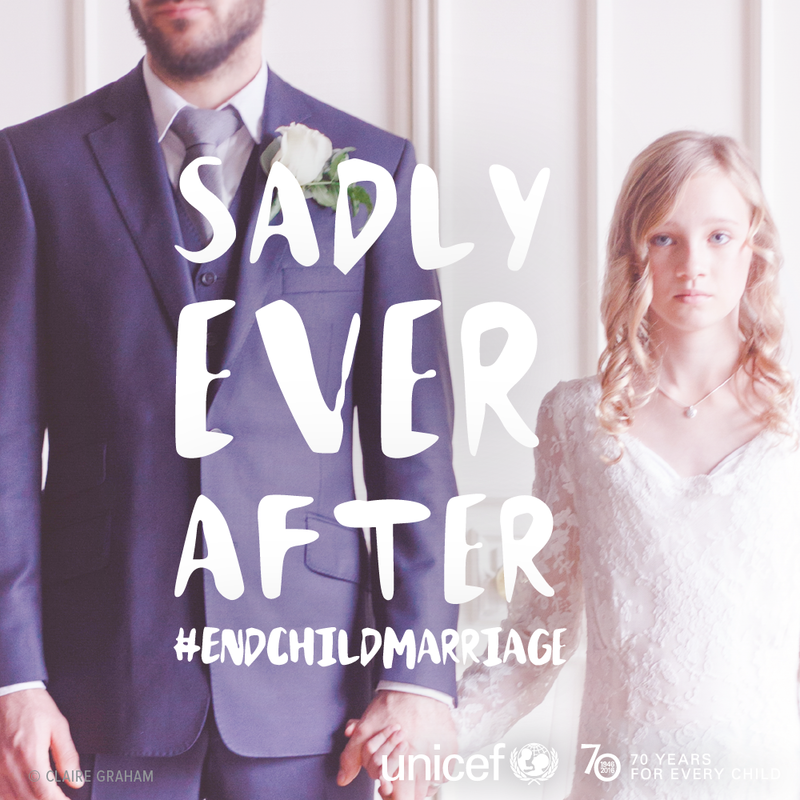 For 15 million girls a year – some as young as eight or nine – their wedding day won’t be a joyous event. It will signify the end of their childhood. Child marriage not only violates a girl’s human rights, it’s also linked to a whole host of other problems: child brides are at a higher risk of HIV, poverty and domestic violence, and are more likely to drop out of school and die in childbirth. Unless something changes, the number of women married as girls will soar from 720 million today to 1.2 billion by 2050. That’s why UNICEF and UNFPA have launched a joint campaign to highlight the plight of these millions of girls. In a little over a week, the video they released as part of their campaign has garnered almost 17 million views on Facebook . At first glance it looks like the perfect fairytale wedding. But a few signs – a colouring book, a teddy bear – suggest something isn’t right. "This looks like a storybook wedding. Except for one thing," UNICEF writes on its Facebook page. The video is just the start of the global campaign, which aims to eliminate child marriage by 2030. Child marriage: a devastating effect of the refugee crisis Where are the world's child brides?